Clarifiers are settling tanks built for continuous removal of solids. Clarifiers are generally used to remove solid particulates or suspended solids from liquid for clarification and (or) thickening. 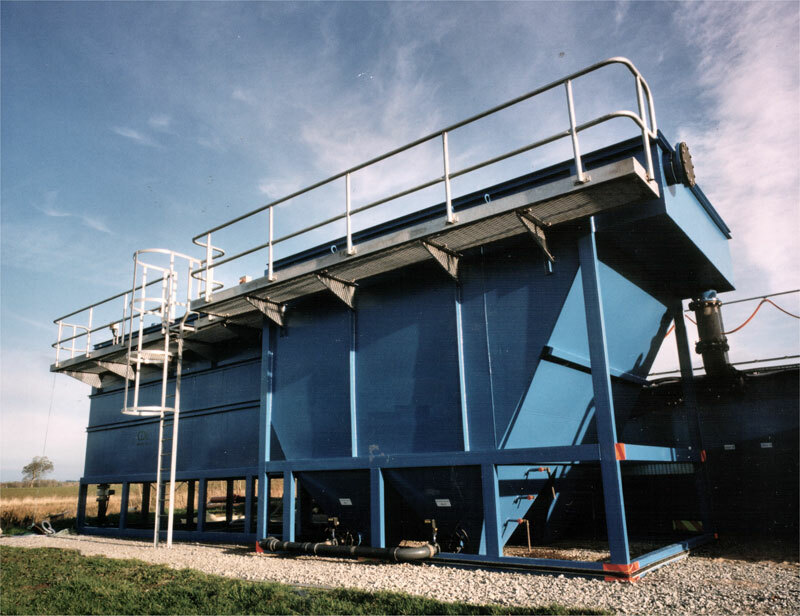 We use lamella settlers within our clarifiers, which greatly increases the clarifier capacity and enables a much greater flow to be treated in the same footprint as conventional clarification. 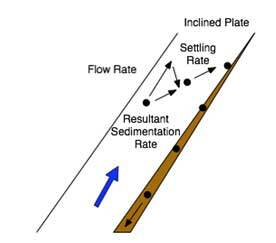 Our design also ensures maximum efficiency in terms of upward flow velocities. 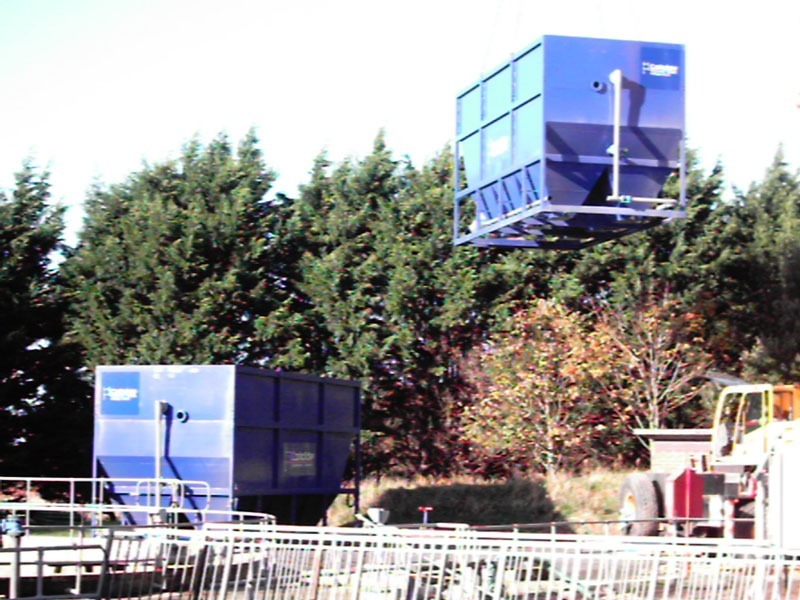 The lamella settlers can be used in new builds and are also an excellent option for upgrading and increasing the flow through an existing plant. 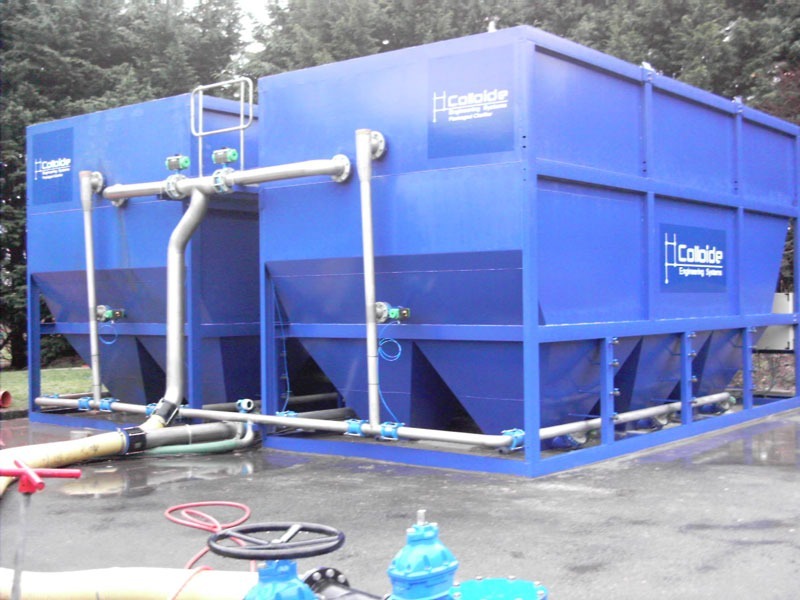 Our clarifiers can be designed in a wide range of sizes and configurations to suit the individual needs of each of our clients. 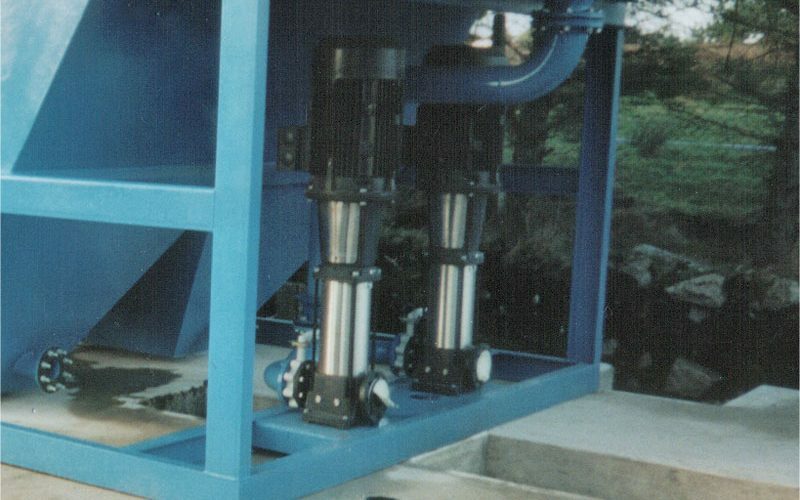 The clarifier can be used as a standalone system, taking the full plant flow, with or without additional equipment such as sand filters, screens, etc. Large treatment capacity in a small area. Lamella settlers are DWI certified. The lamella settlers can be installed into concrete tanks for medium to large flows or installed in steel tanks for smaller flows. Standard designs are used for every plant which means that the designs are proven, there is no need for costly engineering time on every plant and the plant can be delivered to site in a much shorter time than conventional units. 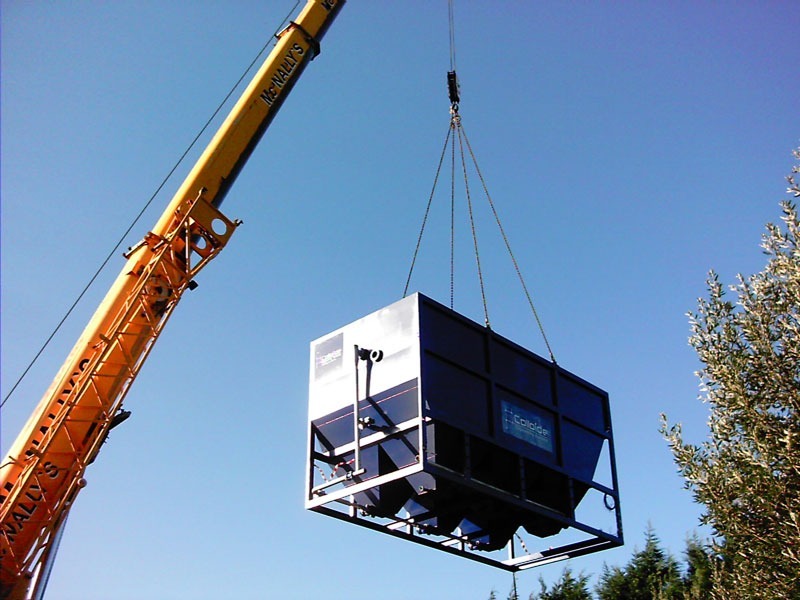 Installation period on site is minimal – taken up by offloading and bolting together of the parts. 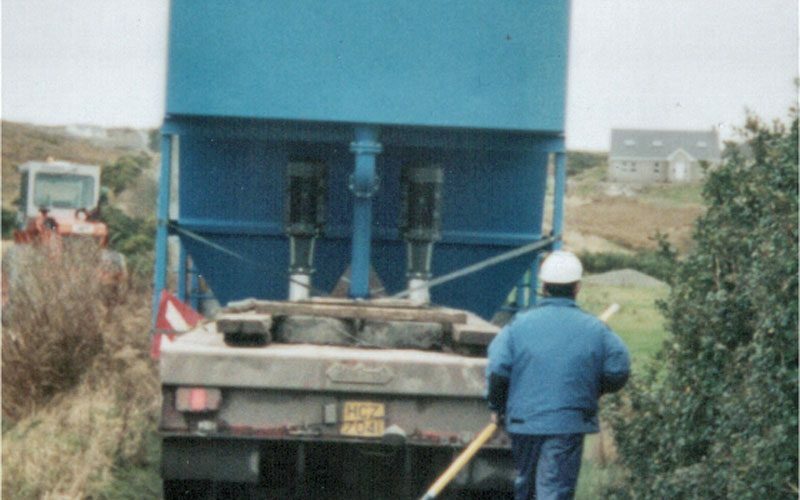 potable water treatment, for both solids and colour removal. 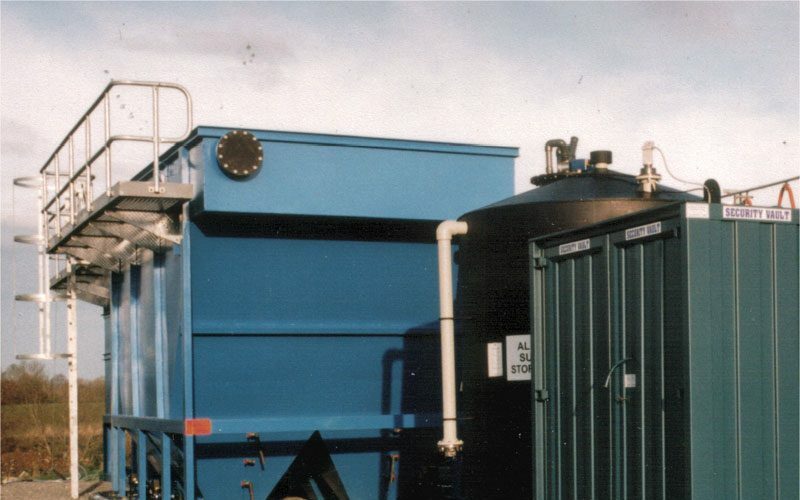 solids precipitation and removal from industrial wastewater. wastewater settlement (primary and final settlement. 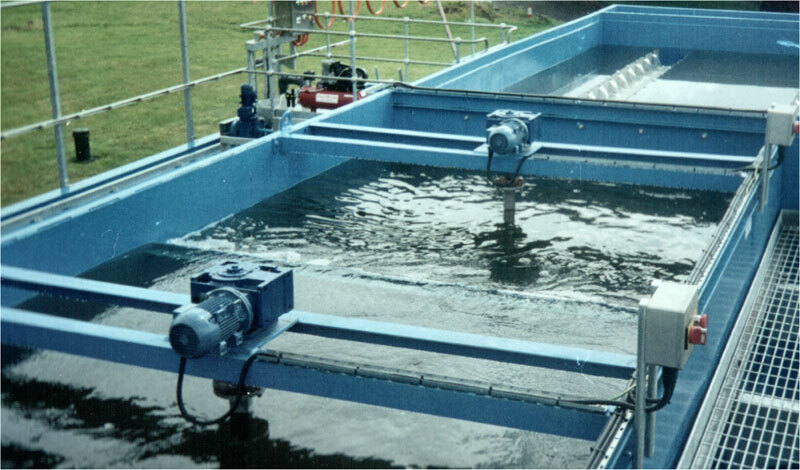 recovery of solids from process streams within food and drinks industry. removal of fibrous materials from industrial process/waste streams.